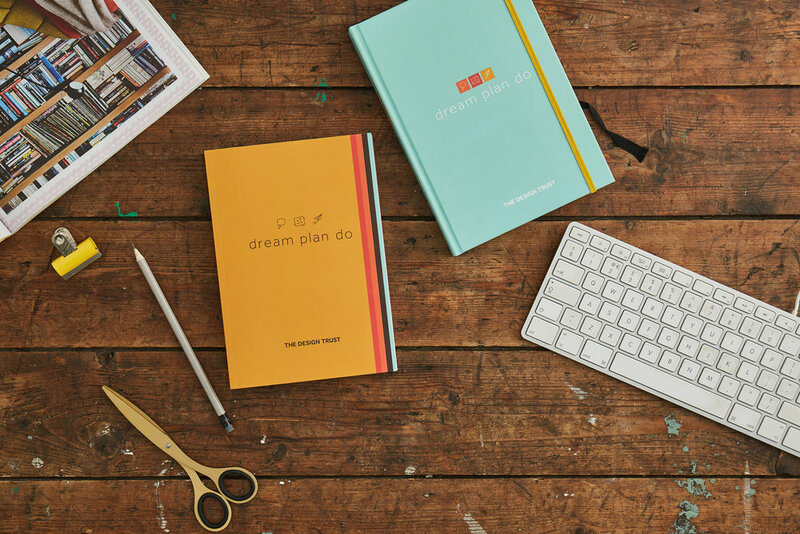 If you were reading my blog back at the start of the year, you’ll know that I was excitedly delving into my Dream Plan Do planner from The Design Trust, and I was determined to stay on top of it this time in order to reap the maximum benefit. I even managed to write an update post here. My very well thumbed planner (and my shiny new one!). Well, here we are in month 12 and I’m pleased to say that I did fall off the wagon… but not completely! I’ve decided to take this opportunity to look back on the year and my work with the planner, and to explain why (despite the fact that I’ve not completed it) I’ve gone ahead and ordered next year’s book. There are a couple of reasons I went a little off track… Unlike previous years where my business really was product based, this year I scaled that right back (for why, take a look at this post from last November) and at the same time I made the decision to take the pressure off when it came to launching 2 collections per year. Both of these topics feature heavily in Dream Plan Do and I will admit that I started to loose my way once I got to these chapters. In addition to the changes to my business I also, somewhat unexpectedly, took on a temporary teaching job which, while the hours are far from long, has had quite an impact – both upon the time I have to work on my business and on the ideas I’m having for my work. So back in the summer I set about thinking of an alternative way to use the planner. One thing I’ve found particularly useful in this second edition is the Wheel of Life – so it’s no longer only about my business – there’s a more holistic approach. Considering this has also been the year in which I’ve finally become completely hooked on exercise again (after a VERY long break) I’ve used the planner to think about where I’m going with that too and thinking about how I use my time as a whole (oh and not feeling bad about taking time out to go to the gym – I need it both for my physical heath and my sanity!). The planner has also helped me to generate new ideas and think more about what my priorities should be. This time last year, the idea of not launching collection or having masses of products scared me; but now it’s actually quite a relief not to have a massive inventory I need to somehow shift before Christmas! It has also helped me to focus on selling more commissions, improving my teaching, and thinking about new workshop ideas. I’ve learnt that I can’t always take each chapter literally but there’s something to be learnt from each of them. Other things that could have thrown a spanner in the works included my spur of the moment decision to launch my Kickstarter (which was successful, thank goodness!) and also that to do fewer markets and events. The lack of events did, predictably, result in fewer sales but I’ve actually streamlined what I do and significantly reduced my costs so it’s not worked out as badly as it could have done. Looking back on the year, I have achieved quite a lot of the things I set out to do (if you exclude my financial goals, which still feel like a pipedream, and my complete failure to embrace Pinterest – one for next year’s planner…). When I review last January in particular I can see that I’m going to need to carry out a similar soul searching exercise again as I feel I’m starting to go off track (however I do have the urge to launch a collection in the spring – someone stop me please, it will only end in tears!). So where am I at the time of writing? Well, I’m working through the “is your website Christmas ready?” checklist, revisiting time management (which has been a far greater challenge for me over the last few months) and I’m itching to get started on my lovely new 2019 Dream Plan Do planner which arrived last week. I really wanted to cut myself more slack this year – nothing I ever do is good enough, so I tend to just keep ploughing on blindly no matter what, without taking time out to assess whether things are working (or to celebrate successes). So I have made the effort to try not to work ALL of the time and to sit back and think, for example, of how many more people have my artwork displayed in their homes at the end of this year, and how many people I’ve taught to make lampshades… it’s a good starting point at least. Next year I need to build upon this and be brave when it comes to dropping the things that aren’t working. I can’t wait to get started on my new planner, but if I don’t (or can’t) complete every page, or even every month, I’m not going to beat myself up about it. If nothing else it’s an amazing tool to get me off to a good start in January, a useful document to use to review at the end of the year to see how far I’ve come (or not!) and an invaluable reference book the rest of the time. I’m very much looking forward to curling up with my new copy over tea and cake next month. The Kickstarter - How did it go and would I do it again?! 2. Treat it as a market research exercise. A soon as I got my head around this it ensured that the whole process of getting funded was a lot less stressful. If people didn't pledge it meant there wasn't a market for the book. All I'd loose would be time (as I'd had the sample book made for myself anyway). 3. Don't be greedy. Think about how much you really need and do try to make a profit if you can but really the purpose of the exercise is to get your thing out there. I really wanted a pile of my own books - I wanted to see them going out to their new homes - the fact that I made a (very small) profit was just a nice to have rather than an essential (and remember that I do still have copies left to sell - so I'm left with an asset). 4. It's not always necessary to have stretch goals - and do keep the rewards simple! Mine wasn't that complicated really, but when it came to dispatch there were still many variations - signed copy or not, with or without postcards, 2 copies, shipping destination. This part took a lot longer than I'd anticipated. 5. Manage people's expectations. I said May for dispatch (and allowed myself the whole month) - postcards actually went out in late April and the books went at the end of the first week in May. This allowed for unforseen delays (and in fact the printing of the books was delayed by a week) but meant that the backers all received their rewards when they expected to. 6. Don't leave it too late to plan packaging etc. I planned what I needed before the Kickstarter ended and had everything lined up ready to order as soon as the funds were released (bear in mind that this is 14 days after the end of the campaign). 7. Allow for people to drop out. I was pleasantly surprised as none of my backers pulled out before the end, however one person's credit card was declined so I lost that backer. Make sure you'll still have enough cash to satisfy the pledges in the event that this happens. 8. Celebrate but not too much. It's not over until it's over! In my case the fulfillment was a lot more time consuming than the funding stage. I know this isn't always the case. Would I do it again? Yes I think I would. I believe it's important to leave a good gap between campaigns and to wait until you really do have that amazing product (rather than looking around for something to do a Kickstarter for - it should be the other way around). Also, take a look at who your backers were - I rarely sell my work to friends and family but a lot of familiar names were in my backer report! Think of it a little like getting sponsorship for that half marathon you're doing and remember that people get bored of being asked for cash for these things too often - even if they are getting something out of it! A little reminder that I do have a few copies of my Kickstarter book available here. 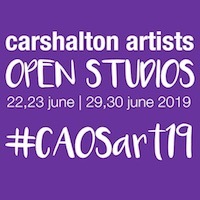 I'll also be signing copies at 133a Stanley Park Road, Carshalton as part of Carshalton Artists Open Studios on 23/24 June and 30 June/1 July (more details here). I received quite a lot of advice about my Kickstarter (lots of which was welcome, lots of which was unsolicited, promised miracles AND was almost certainly going to cost me - what's the point?) and I only really followed a few principles. You could say it was a fluke. Anyway, if you're interested I've written about my first week and what I did below. My Kickstarter is still running and will do so until Monday 9 April (subject to the books selling out beforehand of course). You can pledge here and read last week's post about it here. Launching a Kickstarter was not in my long term plan (in fact not even in my short term one - my 90 goal in my Dream Plan Do planner made no mention of such a thing). Back in January when started planning for the year, I really liked the idea of getting my 365 Project printed up as a book - but mostly just for myself so I had a nice record of it. I was really pleased to have completed the challenge I'd set myself and wanted to celebrate this. However once I'd got this one copy printed and shared it around, people started asking for one of their own. The copy I had was a one off and as a result had cost me just over £20 (and that was with a 30% discount code). As you will have seen from the photos the book isn't huge and there was no way I could retail it, even at cost price. Blurb provide the option to sell your book via their website or Amazon, but even forgetting for a moment about the crazy retail price it would have, the terms and conditions scared me. Books sold would be printed to order and should someone decide to return it for any reason you, the creator of the book, has to cover all the costs (on the basis of £20-odd per book plus shipping etc). Ouch. Now I think my book is ace but that's too much of a risk to enable me to sleep well at night! It was at that point I remembered that a friend had used a local printers to produce some children's books at the end of last year, so I approached them. I felt a lot happier about this as not only am I doing my Just A Card duty by shopping small and using a local business, but I can have proper contact with the people are producing the book. I've used them to print cards in the past, and I have a friend's recommendation for their books. This brought the retail price down to a much more acceptable level but only if I bought 50 or more. So I was left in a bit of a quandry. People had said they wanted it (not 50 people though! ), but what if it was only those people who did, or actually when it came to it they didn't (fallen into that trap before). So I sat on it again. Until I realised this was the perfect opportunity to launch a Kickstarter. When I went onto the site to set the project up I discovered that I'd already backed no less than 17 of them. I figured it was a tried and tested way to see if the books had a market - I already had my prototype and imagery so I just needed to spend some time making a video, planning and preparing. I decided not to get too stressed about it unless I failed to get any backers at all! 1. Pricing - this was the first and most important thing I did. Do not pluck an arbitrary figure out of the air when you set your target! Make sure you will have covered your costs (or at least the costs you have to cover to avoid financial ruin!). You need to take into account a number of things - cost of your product, postage (which is variable if you're accepting International pledges), packaging materials (including any flyers, stickers and business cards - you might need quite a few!) and Kickstarter's fees. This figure may look scary and unattainable... Depending upon how scary it looks you may want to add a small profit too or only make a profit on the pledges after you reach your target. Do price it up properly - there's nothing more panic inducing or with the ability to ruin your "I'm funded!" celebrations than realising you're going to be out of pocket after all. 2. Rewards - once the pricing was sorted I needed to work out the rewards. All the advice I'd read (and most of the successful Kickstarter's I'd funded myself) had a reasonable range of rewards, not only to suit all budgets but also so there's something for people who may want to support you but possibly don't want your main product. So I offered a digital copy of the book, a postcard set, 1 copy or a slight discount if you pledged for 2. Different items have different lead times too - also consider that you won't receive funds until at least 14 days after the end of the campaign - so if you need the money before placing the order, you must factor this in to your estimated delivery date. 3. Video - everyone keeps talking about how important video is to EVERYTHING when for the most point I find videos in my feed irritating and scroll straight past them! Anyway, it had to be done. You're not getting me talking on camera anytime soon, so I used Adobe Clip to make a slideshow set to music (I used one of the Adobe Clip tracks so as to avoid copyright issues - don't forget this!) and I was rather pleased with my efforts. 4. Images - as I mentioned I already had 365 photos from the project, plus pictures of the book itself and montages so I made full use of these. If you don't have images you need really good ones/mock ups if you don't have a physical sample to photograph. 5. The blurb - I'm quite quick at writing when I get down to it... I rewrote a few things I'd already written about the project and added to/updated this. 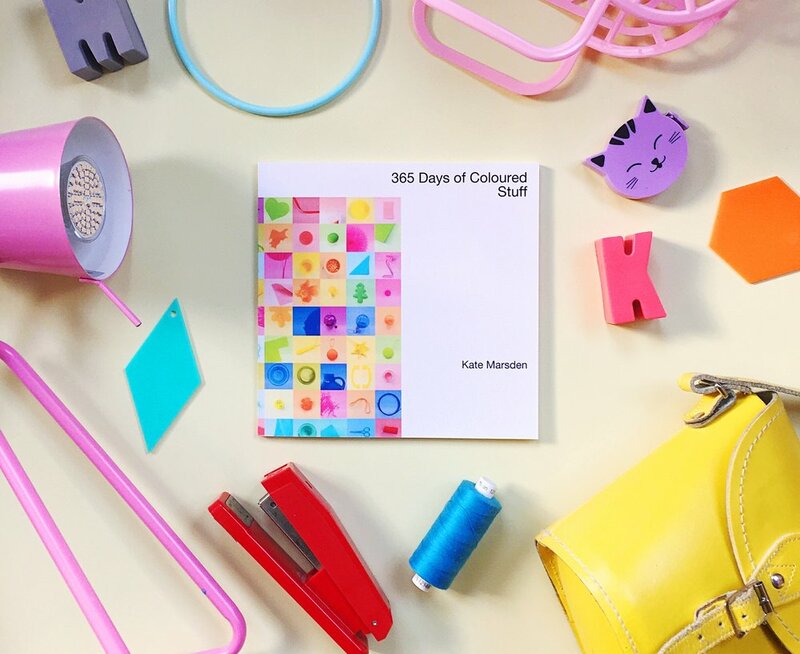 I explained the background to the 365 project itself, why I turned it into a book. You also need to think about what could possibly go wrong with the project and let people know the potential risks before they pledge. And then I submitted it to Kickstarter for their approval. This took a few hours (even on a Sunday night - I was impressed!). I hovered on the publish button for quite a while before going for it. 1. Listed the press contacts I have who might be interested in the project. I then drafted tailored emails to all of them and they sat in my drafts until I'd pressed publish. Quite a few people picked these up and shared my campaign which was brilliant. 2. Sent direct emails to the people who had previously expressed an interest in the book - as soon as it went live. 3. Drafted an email to my mailing list about it - which I also send just after it went live. 4. Scheduled a series of promotional tweets and Facebook posts (which I hasten to add I didn't pay to promote - I did ask my friends on FB to please share the post if they weren't able to/didn't want to pledge though and a lot of them did this for me). 5. Planned a series of Instagram stories - keeping the campaign up there all the time with regular updates. And then I went and made a cup of tea. In the first 24 hours the campaign reached 37% funded. I'd been told to aim for 50% in the first 7 days, and then expect a lull before a final push in the last week - I was a little anxious, but it wasn't as bad as I'd feared. I was determined to stay chilled about it (easier said than done!). When I reached 50% on day 2 I realised I needed to keep pushing to get to 100% as soon as possible, in order to be able to keep promoting but without the pressure. I reached 100% four days in (almost to the minute). Momentum has definitely dropped off since I reached my target and I'm now aiming for 1-2 pledges a day. I'd like to have a bit of a cushion (what I didn't realise until recently is that backers can pull out right up until the final deadline leaving you underfunded after all and then you don't receive any of the pledges - a bit scary!) and I'm also keen to only have a handful of copies of the book remaining at the end, as I don't do many events nowadays so my options to sell them are more limited than they used to be. People have already been asking me for advice despite the fact the Kickstarter is still running (I'm not there yet kids! ), but I honestly think that other than identifying who to promote it to and who to ask for help in doing this, the only way to achieve it is to produce a professional product, a well put together campaign page and have something people want to buy! The beauty of Kickstarter is that it tells you if people want to buy your thing... a little publicly perhaps which can be scary, but other than time (and possibly pride) there's not a huge amount to loose. I'm pretty sure if I'd gone ahead and just got the 50 books printed I'd be sitting here now fretting about how to sell them. Kickstarter provides a fanfare and a deadline and these work well both from the perspective of giving you the incentive to keep pushing, and in helping people to make the decision to support now rather than maybe buy a copy in a few months. I'll be back to share how the fulfillment stage goes! In the meantime, as I mentioned you can still support my Kickstarter until 9 April via this link. Thank you! I'm writing this from bed, as I'm not well (yet again). 2017 was not a great year for me in so many respects and I'm keen to just put it behind me if I'm honest, but one of the most irritating things about it was the fact that I felt like I was ill (with one thing or another) pretty much ALL the time. I'm sure my anxiety about my business and a few personal things didn't help this at all, but on this occassion I'm on antibiotics so I've decided it's time to let myself have a proper rest (it's a rest and not really a false start!). Back in Novemeber when I made my big decision to change my business, my plan was to take the best part of January off. Clear my head and sort out what I wanted to focus on. But before the school holidays were over my diary was already almost full with "stuff". Being unwell has forced me to cancel some things, and take a harder look at whether I need to be doing all of the others, and I suppose that's positive. One thing I have started looking at is my Dream Plan Do planner. I had one last year too and I have to admit that I struggled (the fact that I filled it in in pencil is quite telling). I don't think I really realised in January 2017 that I was going to have such a terrible year sales wise, and that I'd be forced to make a change - 2016 had been great and I just needed to keep building on that... but when I look back on my 3 juicy goals and my plans written a year ago (which I spent nearly two months writing) they don't exactly scream optimism, in fact I don't really sound all that keen. Fast forward to today (having partially achieved 2 of last year's 3 goals and failed totally at the 3rd) and I actually feel that I'm in a better position to plan. I raced through the first 47 pages of this year's planner (yes 47!) in pen - I have a plan I think I can stick to (if I manage to avoid being sick CONSTANTLY) and it's all sounding a lot more positive. February's chapter is about finances though so I may well come unstuck there again! I did that thing everyone does, and joined a gym and cut down on alcohol at the beginning of December (to be fair it was pretty quiet down there!). I'm absolutely loving going (and gutted that I'm not there at the moment - hopefully the antibiotics will kick in and I'll be swimming by the time you're reading this) - my aim is to fix my bad back, feel generally more positive (and less panicky), and hopefully loose a bit of weight (I'm not going on a diet as such - I hate them - I'd rather move more and still eat cake). So, my overall goal for 2018 is to be easier on myself and look after myself better. Other than that, I have the following plans at the moment (they might change - plus my first Dream Plan Do goal is for three months so there will be new ones in the spring anyway). Go to the gym as often as I can, even if it's just for a quick swim and a dip in the jacuzzi. Plan some photowalks and trips with just a couple of people - not opening them up to others/giving me masses of work to do for very little reward. Relaunching with a clear strategy - so this involves properly planning out what I intend to offer and what I don't, along with improving my communication with regard to what I do - revamping my website to reflect this and then just getting on with it. Boosting my portfolio - as I said I mostly fought fires last year and the lack of new, interesting work I have to show is holding me back. I've already started on this. So there we go. Nothing too major. I've never been one for embracing change and if 2017 taught me anything it's that I need to learn how to. My ideas about what I want my life and my business to look like in the future have changed (and to be fair, are rather hazy at the moment) but that shouldn't matter. I've also learnt that tenacity is good but there comes a point where ploughing on regardless with something that isn't working is really damaging. Watch this space for some new stuff (very soon! ), oh and if you see me flagging, do give me a kick and remind me of what my priorities need to be! Everyone at team Just A Card (and most people who own or work in any kind of independent business) pretty much loathe Black Friday. People stop shopping with us altogether and go and spend masses of money on stuff they don't need (or really want half the time!) from the big chains. This year, instead of desperately discounting in an attempt to compete, or sitting in a corner rocking slowly, we've decided to do something about it - so tomorrow will actually be INDIE FRIDAY! 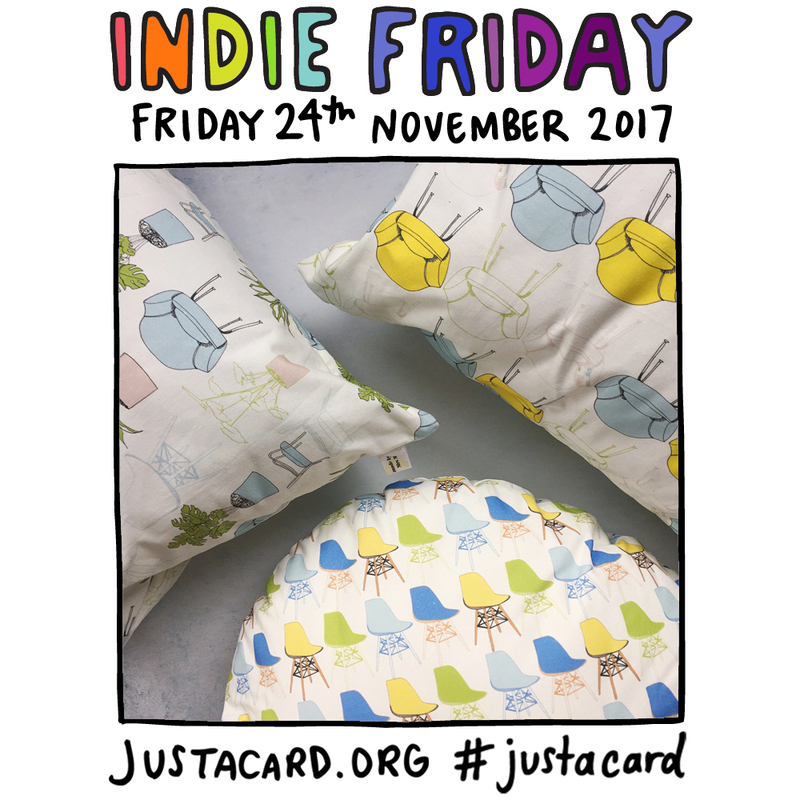 We have some wonderful graphics designed by Angela Chick and Sarah Cowan and we really hope you'll join in - if you're an independent shop or designer/maker use our graphics to help promote your work (you can download them here) and let's try and fill social media with the good stuff - we'll be using the hashtags #JACIndieFriday and #JustACard. If you're more of a shopper than a maker, then please follow the two hashtags and share and share (and if you can, shop too!). We really want to take the negativity away from this day of consumerism and if we can get the hashtags trending, and plenty of people talking and shopping, we will have succeeded! The Just A Card Christmas Gift Guide is out tomorrow too so keep an eye out for that from 7am at justacard.org/blog - once again compiled by the wonderful Sarah Cowan. 2 Minutes with... returns this week with a bumper (so not really 2 minutes!) post, which I hope you'll find really inspiring. A peek into the world of the wonderful Patricia van den Akker of The Design Trust whose Business Club membership and coaching have helped me enormously over the past couple of years. Hello Patricia! Who are you and what do you do? I wear a couple of hats! 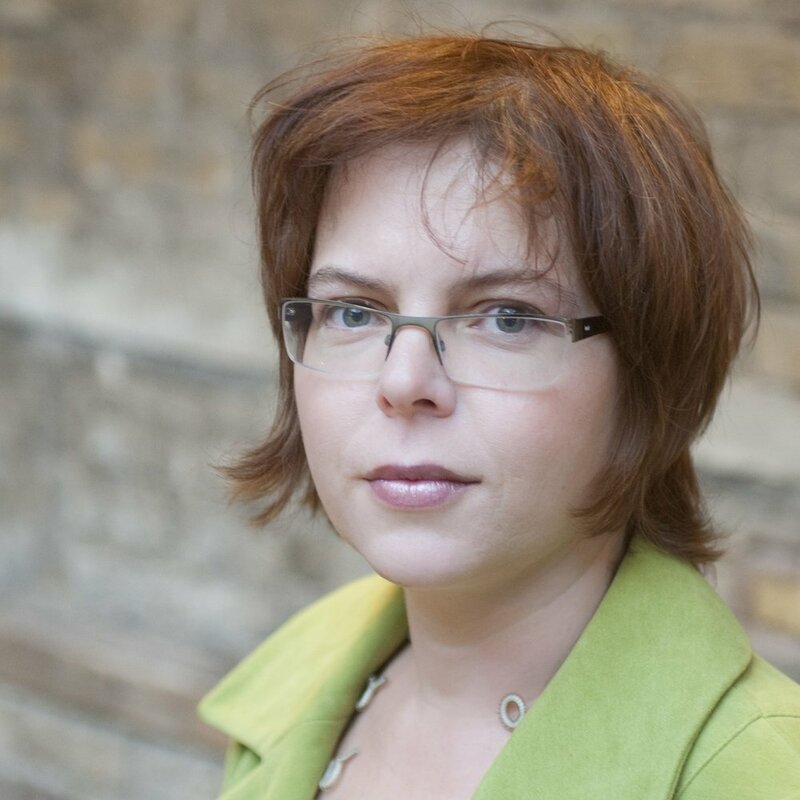 I am a creative business adviser & trainer and the Director of The Design Trust, the online business school for designers and makers, based in North London. I regularly write and talk about creative business development, and work with organisations and businesses across the UK, from Etsy to the New Designers graduate exhibition, to Top Drawer and Made London to various universities and creative professional development programmes. For the last 5 years I also wrote the business column The Design Doctor for Crafts Magazine, and I regularly write blog posts for our own website and others such as Mollie Makes Magazine, Etsy and Folksy. 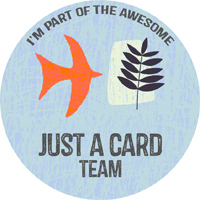 I’m very involved with the Just A Card campaign ever since Sarah and I had lunch together at my house and she wondered if it would be a good idea to tell the world. My mum had a gift shop when I was growing up in the Netherlands so I have always been surrounded by beautiful products and really understand the tricky business of owning a shop. Oh, and I have got two lovely girls and very supportive husband too. Of course I have been doing some digging around this question, and for me it’s about showing that you can be both creative and entrepreneurial, in fact that you do NEED to be both … if you want to succeed! One feeds the other in my opinion; it’s not about being one or the other. So many creatives use ‘being a creative’ as an excuse for not being organised or not doing well. I think that’s nonsense. You do need to learn about these things if you want to be taken seriously and if it is your business (pun intended). That all probably comes from the time when I was choosing a degree subject. My dad wasn’t overly impressed with my choice of wanting to study graphic design and more or less muttered ‘You will never make a living.’ But I did! (Although I never worked as a graphic designer a single day in my life haha!) And I am still trying to prove him wrong, and all the other nay-sayers too! I love it when I see creatives with a sparkle in their eyes, who are ambitious, who - with a little bit of help - can go so much further. Very few graduates in the UK have a basic understanding of business and marketing, while marketing and branding can be so creative! My audience and clients are my biggest sources of inspiration! You do need to find out your own strengths but also listen to your ideal clients, it’s so inspiring to try and find the right solution and to provide innovative and really useful solutions for them. Recently somebody said to me: “Patricia, I have always been really scared of marketing myself, but in the last hour you have given me so many creative ideas of what I can do. They feel really right. I can’t wait to get started and get the word out.’ I love that, to be able to inspire creatives, and yes, also so that the world becomes more beautiful, creative, ambitious and inspiring. I started my career as a creative business adviser nearly 25 years ago. At that time it was all about teaching people skills around business planning, finance and marketing. But then 10 years ago I realised that I would have very good meetings with creatives, but actually nothing would really change afterwards in their business. They were full of good intentions at the meeting, but often there were lots of things stopping them actually making the change. I was worried that I wasn’t a very good business adviser after all! Then I realised that your mindset is crucial in this change process, so I trained for 4 years as a business coach, which really helped me to start asking bigger questions instead of always having the right answer. In the last 2 years I have become rather obsessed with getting people into action. Not just thinking or talking about the business you really want to create, but actually doing it. Mucking in, failing even, and getting up again and make it happen. So much interesting psychology around that what makes creatives successful and happy, and what stops them! I can’t stop finding out more about that. I am now learning more than I ever have done. And so that’s my very long answer to your question about why I do what I do: I love learning and growing, and want to prove that to be successful you need to learn and fail, experiment and play, and keep going! What inspired you to take the wealth of information on the Design Trust’s website and create the Dream Plan Do book? I have been working with creatives for nearly 25 years, and there is so much information in my head! When I took over The Design Trust in 2011 (it was originally set up by the late Peta Levi MBE in 1984) I regularly got business questions from designers and makers. As I like to be effective I realised that many other creatives had probably the same questions, so I decided to share them to a wider audience and posted them as Q&A on The Design Trust website. I didn’t realise it at the time, but those were my first blog posts! Now, 6 years later there are over 120 blog posts on the site! Dream Plan Do as an idea had been in my head for a couple of years (haven’t we all got an idea for a book in our minds?!). Then last summer we had major renovation work done at our house in North London. I work from home so I couldn’t do my usual job of providing online training as it was too noisy. So, I thought it would be a good time to work on my book idea! 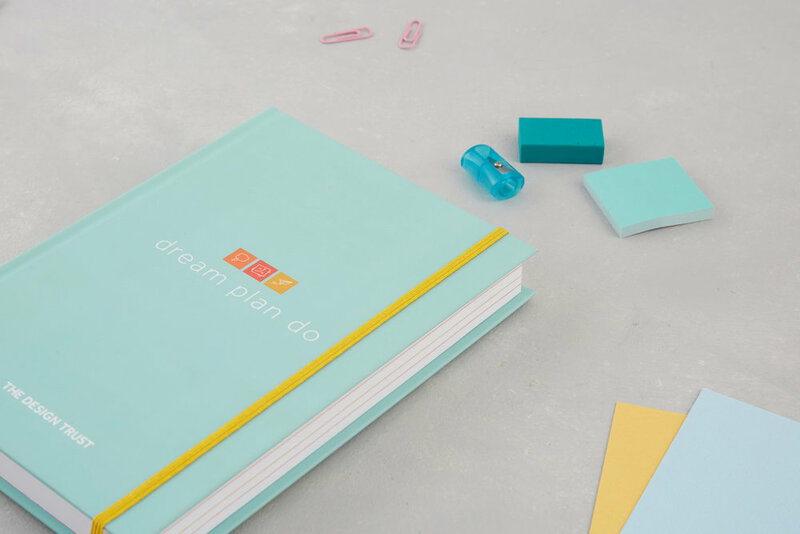 Dream Plan Do is based on the idea that many creatives fantasise about what they would like to do and work really hard, but often they don’t dream BIG enough (often a bit scared of the fear of failure – or the fear of success! ), they don’t think it through enough. They might like planning and to-do-lists and lovely planning stationery (who doesn’t!) but are you actually really working on the things that matter? To be successful (whatever your definition of that is, either monetary or otherwise!) you do need to able to be strategic and think about the long term and be focused, you need to have a plan of how to get ‘there’, and you need to do the actions that get you clients and sales. You need to Dream Plan and Do! With Dream Plan Do I have created a ‘coach-like’ book. The best way to explain it is that I have written half the book, and that the other half is up to you! In the Dream Plan Do planner I have broken down the process of working ON your business in quarterly and monthly sessions. Each month has another theme to work on, and each quarter you set a juicy 90-day goal. Did you know that setting a goal for 90 days is the perfect time to get something accomplished? It’s long enough to make some serious change, but short enough to keep your momentum. If you could collaborate with anyone (dead or alive! ), who would it be? What other exciting plans do you have for the next year? Next year I really want to make more time to do research into how successful creative businesses really work, the nitty gritty stuff. That’s what I am very interested in: how people and businesses really work. In the last year I have had to do a lot of strategic thinking and work on my own business The Design Trust. Dream Plan Do in 2016 was really popular but that means that I need to grow the business as a whole to keep it working. Early in 2018 we will be making some major changes to the website (far more based on creative professionals real needs, motivations and goals), and I want to launch a series of new online courses for very new craft and design businesses. I also want to share more successful role models. There are so many great business owners that have created really interesting business models or different ways of doing business and marketing. Those are the ones that I want to feature as we don’t see and celebrate success enough in society! And actually I am really looking forward to having more time for research and writing too. I have caught the writing bug, and have ideas for other books too. Often people assume that I am really outgoing, as I do so many public speaking events, but actually allowing myself to have some quiet time to read and research is something I am really excited about. I am putting in my business plan for next year to spend around 3 months in total on research and writing for next year! From mid November it will be available online via www.dream-plan-do.com If you order by 1 December then you will have your own copy in the post before Christmas. Hello Georgie! Who are you and what do you do? Hello! I’m an artist and illustrator living in Brighton with my gorgeous 3 kids and hubby. I create floral and botanical art and illustrations, created using real flowers and foliage. I sell my prints online and work with a variety of clients across the world. My latest client was in South Korea. They found me all thanks to the power of the internet and Instagram - which I’m slightly obsessed with! Lately I have been finding myself feeling so grateful for what I do. It really is a dream come true; a dream I’ve had for a very long time (I’ve just turned 40 so it’s been years in the making). My creative business really only started in September 2016 when I decided to go freelance. Now, I make beautiful things everyday from flowers and foliage - what’s not to love?! I love being my own boss, being accountable only to my clients, customers and myself. And importantly I can work around my 3 children. What inspired you to start creating your beautiful illustrations incorporating real flowers? When my daughter was born (she is now 4), my little treat during those early days with a newborn baby was a simple vase of fresh flowers. I also started drawing again, during her nap times. I’d left my drawing board on the dining room table one day and a wilting flower dropped onto the drawing. It looked so pretty and voila an obsession was born! I also discovered Instagram around this time, so started sharing my creative experiments and collages. People seemed to like what I was doing which gave me the confidence to carry on. Too many to list - but that’s my problem. I have too many ideas, ambitions and plans. So my first plan is to organise myself! Latterly I have translated my illustrations and floral designs into personalised products and homewares, from phone cases to cushions. I soft launched the phone cases in June and they have been really well received so far. I’ll be launching notebooks and cushions next. I plan to expand the ranges even further and move into wholesaling and art licensing. Maybe even sign up to my first trade show. Watch this space! Thank you so much! You can see more of Georgie's work on her website and follow her on Instagram, Twitter, Facebook and Pinterest. I’m really excited this week as I get to introduce you to someone who has been a huge inspiration to me ever since I made the decision to take my business full time a few years ago. 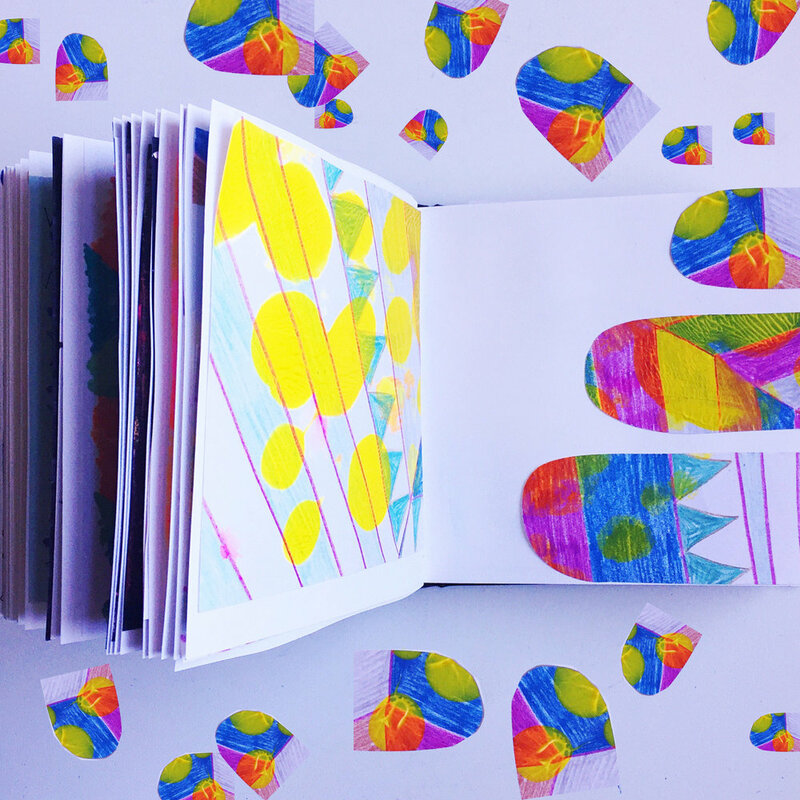 Meet the wonderful, colourful Jane Foster! Hello Jane! Who are you and what do you do? Hi, I’m an illustrator, author, textile designer and screen printer living in Kingsbridge, Devon. I love being creative and turning my passion into making a living so I can live the life I choose. I adore all parts of what I do and love the variety involved in illustrating, screen printing, sewing and designing along with also running my little business single handedly and doing all the various other parts involved such as photography, social media, packaging orders etc.. I’m creating an intentional life where I can work flexible hours and spend lots of time with my nine year old daughter. Are you able to offer one piece of advice to those who are just starting out and have been inspired by you and your work? If you could collaborate with anyone who would be? My dream would be to collaborate with the Finnish company Marimekko. I’ve several more children’s books in the pipeline along with some new product collaborations. Thank you so much Jane! You can see all of Jane's work on her website and follow her on Instagram, Twitter, Facebook and Pinterest. Tell us a little about yourself and what prompted you to launch Cloth & Candy. Hi, I’m Fuz. I’m a wife, a mum to a busy toddler and an all round crazy fabric hoarding lady. Being a creative at heart, I’d been longing to set myself free of the 9-5. Having worked in the fashion retail industry for ten years, my work had always allowed me to be surrounded by beautiful textiles and design, so it was just a case of taking the plunge to do it. We were planning to start a family and after some long hard thinking, I decided, what better time to just give it a go. So I did! When did your love affair with fabric begin? I am lucky enough to have a mum who loves sewing so she taught me a lot when I was little. I used to enjoy tapestries, cross stitches and little sewing kits. I made a rag doll once, I swear it was the scariest thing ever, but I loved it at the time ha ha! I had some amazing textiles teachers at school too who taught things like appliqué, dyeing and even machine embroidery. Also, I think a big part of the excitement, has come from my heritage. The vibrant colours, handiwork and general culture of Pakistan and Bangladesh have really helped to create this passion for textiles and design. How do you spend a typical day at Cloth & Candy HQ? I am first and foremost, a mother, so my day is a real mix of megablocks, fun fabric stuff, and generally chasing after my toddler all round the house. I tend to prioritise my tasks the night before, just so I can make the most of the day. During his nap time, I could be taking pics of some of the amazing fabrics, catching up on emails, wrapping parcels or planning my next projects. We usually have a trip to the post office in the afternoon which always involves a visit to the duck pond or the playground! I get a lot of my stuff done in the evenings though, I am quite the night owl. It can be tricky to switch on in the evenings for work after such a tiring day. When you run the show all by yourself, work can creep into spare time too. I’m trying to be better at giving myself time off as it allows me to be more creative and come up with fun, new ideas for the business! What attracts you to the designs you choose to stock at Cloth & Candy? Everything always seems to work so well together! This is the part of my job I love the most! I look for great colour combos and striking designs. I love modern prints, with a bit of fun and boldness to them and yes, I generally try to make them sit really well together. The fabrics genuinely excite me and I hope I’m inspiring people to use these fun patterns in their projects. I’ve had a few customers tell me they've started sewing for the first time just because they wanted to own the fabrics in my collection! Like my motto goes, if I don’t love it, you might not love it, I don’t put it in my shop. Do you find any time for sewing yourself? What do you like to make? Since the little one arrived, I’ve been rubbish at giving myself time for this. This year, a big goal of mine is to get back to the sewing machine more. After all, I do have a pretty good stash at my disposal!! I’ve started to get that time in for some simple projects like drawstring bags and pouches. I’d really love to give dressmaking a go this year though. I’ve wanted to make myself a dress for some time now and I just need to get on and do it! And what do you enjoy doing when not consumed by fabric?! We’re all planning our summer holidays at the moment - which destinations have you enjoyed fabric shopping in? Ooh, Paris is super fun for fabric shopping. I love trawling Le Puces Flea Market for vintage bits and bobs! But, by far my most favourite place to shop for fabrics has been Japan. That place is full to the brim with creativity, colour and design. I was in heaven and I’m sure the fabric tipped me over the baggage allowance limit!! Are there any other small businesses closer to home which you’d recommend to us sewing fans? If you haven't already, you need to head to V V Rouleaux in Marylebone, London. All the trimmings your heart could ever desire! And for some cute, colourful craft kits, check out The Make Arcade. We will be stocking some of their sewing kits soon!! Oh, and there’s this other amazing shop I know… Made by Mrs M?? Can we expect to see you popping up at any events again this year? For sure!! You will find me at Summer Sewmance in Brighton this June and then I’ll be back at the Handmade Fair at Hampton Court in September. I love being able to share what I do and meet fellow fabric fanatics so do come along if you can! Thanks so much for chatting with me Fuz! You can find the Cloth & Candy website here, and also on Twitter, Instagram and Facebook. Last month I took part in #MarchMeettheMaker again over on Instagram. 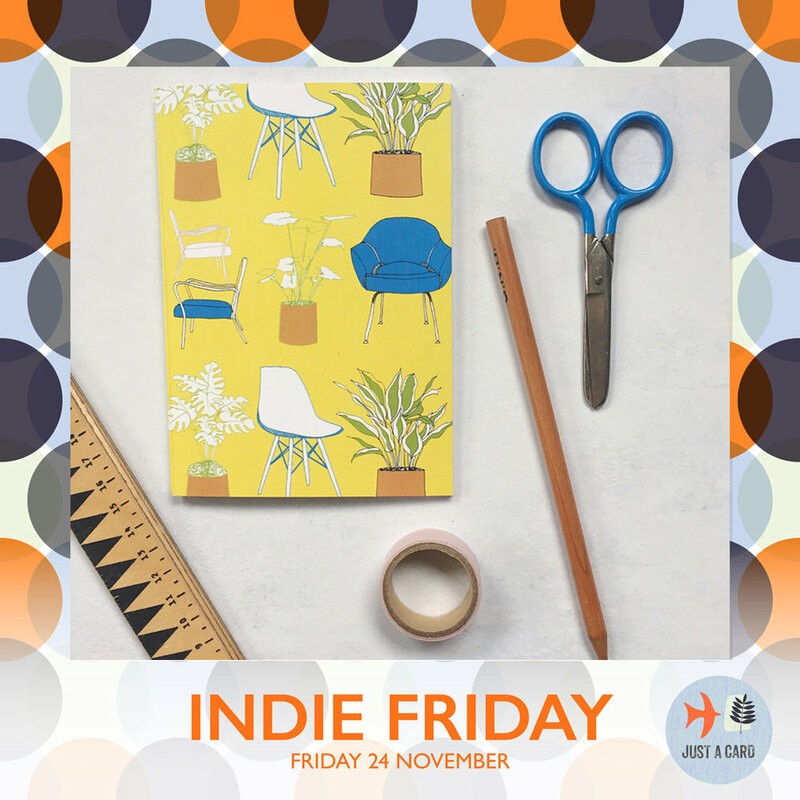 It's organised by Joanne Hawker, and encourages makers, artists and designers across the world to share more about themselves and their work, via a series of daily prompts. It's great fun to take part in and I love being nosey and find about about other people's studios, inspirations and the like. Anyway, here are just a few of the photos I shared. Head over to my Instagram to see them all (there are some little hyperlapse videos too), and to see everyone's head here.